The Star Wars trailer debuted this week, and I'm afraid I was... underwehelmed? Am I alone on this? Reaction on Twitter seemed positive, so again just like with The Force Awakens I may be on the outlier with this movie. It just feels like - the same story again? I don't know. 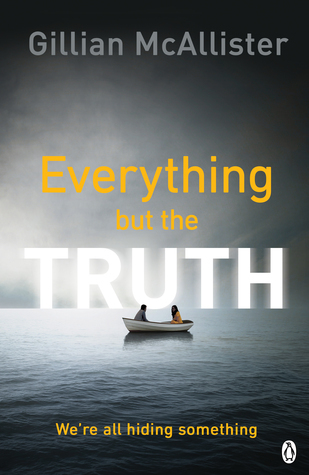 Last week I reviewed The Shark Club (one of my faves of the year) and finished up Everything but the Truth. It was okay but kinda slow? I've been avoiding the trailers as I haven't seen The Force Awakens or Rogue One yet. I'll get to them eventually I guess. My dad like Rogue One the best of the two and he's waiting for the new one. I haven't seen any of the new movies, thought I saw a lot of people talking about the trailer. I have become quite disenchanted with Hollywood, and maybe that is why I am turning away from it all. Who knows? 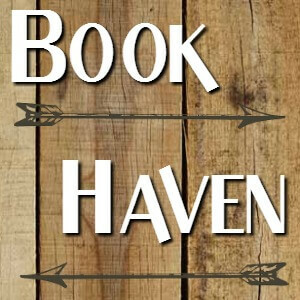 Curious to see what you thought about the Perkins book? Such polarized reviews. Not sure I want to spend the time reading it yet. I don't think the new movies were that good, so I'll go on a limb and say you're not missing much, although plenty will disagree. I thought the Perkins book was okay, standard slasher stuff, I like the ending but I don't consider it essential reading by any means. I'm glad you'r doing good in the Frightfall read-a-tho and that you've started writing again! Some writing is better than no writing, as you said. I haven't read Replica by Lauren oliver yet, but I've heard good things. i have the amazing flip edition waiting on top of my shelf, but I'm still a bit uneasy about it. Did you enjoy the first book? I'm anticipating your review of the sequel. I don't know a thing about Star Wars, but that trailer looked quite good. But I still can't tell you whether I also think it's the same story all over again because I haven't seen the other movies. That's really bad. Stranger Things, though, I HAVE seen and have obsessed over. The trailer is looking good! I'm hyped. PS: I LOVED the art! Great post have a good weekend! I need to update Twitter with my progress, I keep forgetting! And yes some is better than none. :) I did like replica, and I totally read it as a flip book- I went through both POV's at the same time and liked it. Thanks! Loved Stranger Things, and I am totally binging Stranger things 2 whenit comes out. Can't WAIT!!! You know, I clicked on that for a lark and actually kinda liked it! I need to listen to it again too! Weather here got a little cooler but also rainy so that wasn't fun. I have heard similar feelings as yours on the trailer. Excited for Shark Club now after your review. Have a great week! It rained here ALL day today (and all last nite too). And Shark Club was VERY good . You know I thought I'd like this one better since I wasn't a fan of Force awakens- and I probably will- but man that trailer just... I don't know, didn't do much for me? And I can't WAIT for Stranger Things 2!! Yeah same here. And Stranger Things- yes I'm very excited for the new one! My son and I have a debate about whether or not Kylo Ren is going to kill his mom, Leia. I said no of course lol. My son thinks she will be blown up by him. Also, love the London photo. One of my favorite places to visit. I just posted about Stranger Things this week too. So excited for the new season. I hope they don't so that. Him killing Han was bad enough for me. Not a big fan of his character. And isn't that London pic cool? I loved it. Love that Agatha Christie cover! I am seriously on the countdown to Stranger Things. I actually got ahead of myself (blaming the lesion) and thought it was this week. Man was I disappointed haha. I hope you have a fantastic week ahead! I actually haven't watched the Star Wars trailers, as I have two watch the last two movies... no spoilers, right? I watched the first movies a long time ago, and have been catching up with my kids - who have now finished. I loved the Star Wars trailer. I thought it made it seem like Rey goes to the Dark Side. Perhaps that is just wishful thinking. :) Would be an interesting trilogy if the heroine becomes bad and has to be brought back to the light somehow... I hope that The Last Jedi won't disappoint. I guess we'll find out soon enough! Hope you have a great week. Glad your writing is going well. I love the London Telephone Booth scene. Everything But the Truth looks tempting...and, as always, I enjoy the numerous eclectic images. I'm curious about Stranger Things on Netflix...haven't yet given it a try, but it's in my queue. I was disappointed in last years Star Wars movie, this year can only be better. BTW I love the art-work and picks you posted, especially the vintage prints. Very pretty. 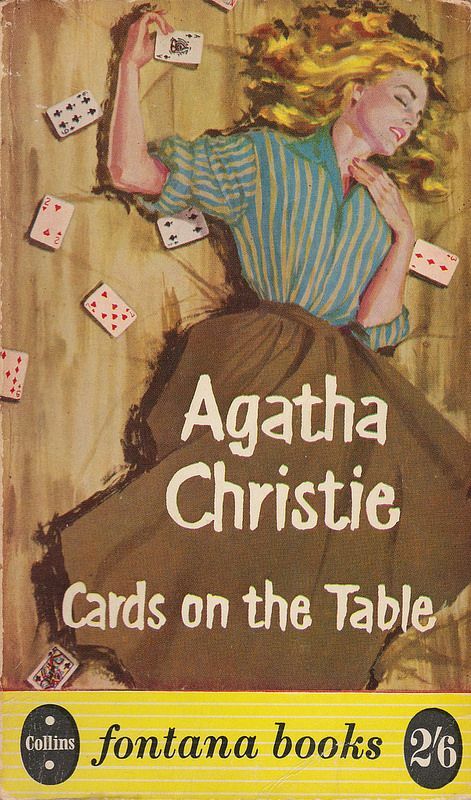 Love the Cards on the Table cover and Telephone Booth image. I just read your Riverdale post. I thought it would be too YA, but I am going to have to check it out. Is it on Hulu or Netflix as well? Netflix has it. And it is kinda YA, don't get me wrong, but it's fun. I haven't watch any of the new Star Wars movies, but I might do so soon. I am rather excited by Stranger Things 2 - the first season was so good though can they keep it up? I feel the same about Star Wars. I haven't watched any of the new movies but the things I heard weren't that great. I don't feel excited for them at all. I'm really curious about On the Run, I think I'm going to start it soon. I have not been wowed by the newer Star Wars movies. Stil a fan of the old ones. :) And I'd love to hear what you think if you read On the Run! I am really excited for the new star wars and I liked the trailer. But, I am kind of impressed by like, anything, so I am NOT the person who you should compare yourself to! I think a lot of true fans would be more critical than myself. Me, I am just like "Oh its so pretty!". The weather here is a bit bi-polar, cold then warm then cold again. I have been enjoying my warm weather while I can though...lol. I have never been a huge Star Wars fan and now that there is no longer a Hans Solo I have no drive to watch it...lol. I won't say that I was underwhelmed by the new Star Wars trailer, but I am getting a little bored with the trailers that don't really give much meaningful new information. It's not that I want to be spoiled, but I would like to be shown something that makes it more distinctive from the previous movie. The Leia moments were the only ones that really got me in this one. Glad to hear you liked The Shark Club as I was considering it. I try to avoid trailers for films I plan to see. For Star Wars I have been getting excited from the poster. Happy reading. The Shark Club was really good. I'm on the list for The Shark Club from the library. I love that picture of the couple in the phone booth. You are always sharing the best art. I'm off now to read your Riverdale thoughts! Thanks, I loved that pic too. Just seemed very romantic and vintage. 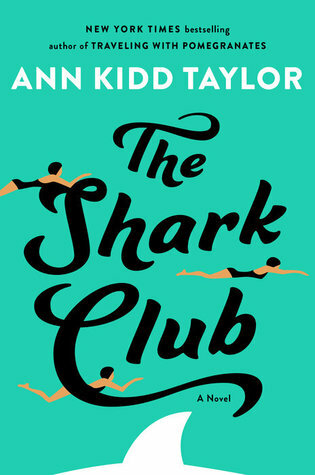 And I hope you like Shark Club- I really liked it!! I definitely notice the last Star Wars film and this one are strangely similar to the original series. I am all for attracting new fans but I feel like they are recycling the original storyline to a certain degree and they could have done it so differently and made if a truly original storyline. I am insanely excited for Stranger Things, though. Yes! I was hoping for a new direction. I mean after thirty years they're still... fighting an evil empire? Just different name lol. Good luck with your Frightfall readathon. Same here. I mean I'll go see it, but was I blown away? Not really. Nice there! Happy reading and have a nice week! I realized that I haven't been keeping up with your blog because I haven't been linking up with Sunday Post in a long time, so I just went in and followed you. You offer so many cool things I wouldn't think of looking for otherwise! My favorite art is the woman standing in the cleft of rocks at the shore, I'm listening to your song of the week, and I have no memory of that Christie novel even though I kind of assumed I've read all of her work. Thanks! I always like visiting yours too, although I haven't been as good at staying up to date lately. And thanks! I love that pic too, it's not really mysterious per se but at the same time it's like what's beyond the cleft? And I love the sea in the background. Glad you're liking them. To be honest I wasn't sure about it, but I started listening and it wasn't bad! I think I would like the weather to stay like this forever and ever. It's warm enough during the day, but cooler at night and just perfect. Which means it should be snowing by next week haha. Love love LOVE the vintage travel posters. I have one of Monaco in my room, but I'd love to get more one day- maybe make a whole theme out of it or something. The ones you shared are so nice. Mattheiu Forichon's stuff is great too- I would be just fine being in Paris OR drinking wine in the mountains! Wow, I cannot believe you are on Part 16! VERY excited for more Gillian/Andreas though! And glad you've been writing more- that is generally how I feel any time I write, it seems like so much because it IS compared to the zero minutes I had been doing :D Hope you are able to keep it up!! Exactly! We'll all be snowed in next week! Seriously though I agree- I like this weather actually. Not too hot, not too cold. I love the vintage travel posters too. If I had the money I'd probably have oodles of 'em, and nowhere to put them! Something about that style... and yes Forichons's stuff is great. I can't believe it either. Yup, Gillian/ Andreas are center stage this week! And I just wrote Part 17 for next week- when did I get so industrious?? I liked the Star Wars trailer but I think it revealed too much of the story. I also cringed at the scenes with Mark Hamill. He's over acting lol. But of course I will still see the movie. As usual you have found some great art work for this week. I hope you have a great week! I think so too. And I'm a little leery- when Mark Hamill said he was curious about the direction they were taking Luke, I got a little nervous. I'll still see it to though ha ha! No, no, your tortured sentence made sense to me lol. I feel the same way. I've hardly written anything in years, so whenever I do, it feels like a lot. I've also hardly drawn in years, but lately I've started trying to learn, and it feels like I've been doing a lot of drawing even though it's not much at all lol. I agree! I imagine for you guys especially, with your hotter temps. And thanks- I can't WAit for S2! It sure has been a wet weekend around here! Looks like the warmer than normal temps will be back. Looking forward to Stranger Things, glad I listened to my son and DIL who told me to watch it. Have a great week. Our weather has been about the same. It's supposed to cool down tomorrow and I'm looking forward to that. The Last Jedi trailer was okay. I'll see the movie. But I don't have high hopes for it. It's been hot here, but I heard this week is going to cool off. Then, it'll get hot again. That's TN for you. I heard about the trailer from people at work. I don't think I'll be in a big hurry to see the movie. Congrats on getting back to writing. I'm trying to do the same. Hmm...not sure what to think of The Last Jedi trailer. But I'm totally going to plunk down my money to go see it, LOL. There was a marathon of the original trilogy on TV last weekend, and maybe I'm just super nostalgic for those movies because I grew up on them, but I just haven't been into the newer films as much, with the exception of Rogue One. All the best for the writing this week! Even if its just a little it does feel good to even do that. Pretty much the same with everything really. I haven't watched the Star Wars trailer yet - I need to check it out. Thanks for reminding me! Everything But The Truth looks interesting. I hope you enjoy reading this week. I like all the summery art. And Stranger Things 2 -- can't wait! Congrats on keeping up with the writing! I'm going to try to make time this week to jump back and read all of your previous posts so I can keep up with your story! I don't think I've seen the last few Star Wars movies. I am not a big movie fan or a big Star Wars fan. Star Trek was my favorite though I haven't seen the recent movies there either. Come see my week here. Happy reading! Great pulp fiction cover choice. Also, I can't wait for Stranger Things 2! That's great you're doing some writing. I really need to get back into my personal writing. Hope the readathon continues to be a success. I haven't seen the new Star Wars trailer yet. But tbh I was a bit underwhelmed by the last movie. It felt like that exact same story but with different characters. And hearing that the new trailer feels the same... meh. My husband kept watching the new Jedi trailer. He watched one with some dude commenting; it was hilarious. How awesome you are writing. Do you participate in NANO, National Writing in a Month? We knitters have one for knitting a sweater in a month, in November. What is your writing process? You write for a living too yeah? That sounds funny. :) I haven't done a NaNo yet although I've been considering it. And I'm pretty much a pantser- I make it up as I go. :) Although I know a lot of pantsers become outliners as they get deeper into their writing, by necessity. And while I do write freelance, I have a regular job also. Are you doing the knitting month? We had weather about the same here. Then it made a drastic turn this week. We had frost this morning! lol. Hope you have a great week. I'm being a totally lazy blogger right now, but I wanted to make the rounds and see what everyone's up to. I skipped watching the star wars trailer. I'm thinking about going into the movie blind. That's great you're doing well with the readathon and your writing. I haven't watched the trailer yet and while I enjoyed the Force Awakens I am hoping they will make the second movie a bit more different from what we've seen already. Guess we'll see. Nice artwork! I like those water pictures and those contemporary style ones are nice too. have a great week! The ending of the Last Jedi trailer had me screaming!